Prashant started a NSIA Diploma in Hospitality Management Level 5 in January 2014 and was selected to represent NSIA at both the NZ Chefs Auckland Regional Salon and NZ Chefs National Salon 2015 and 2016. During the 2015 competitions, Prashant competed in Innovative Cocktails where he won Top of Category and Classic Cocktails winning Gold Medals at both competitions. Not only is he achieving his goals in competitions but he is also part of the passionate team at the Mecure Hotel. 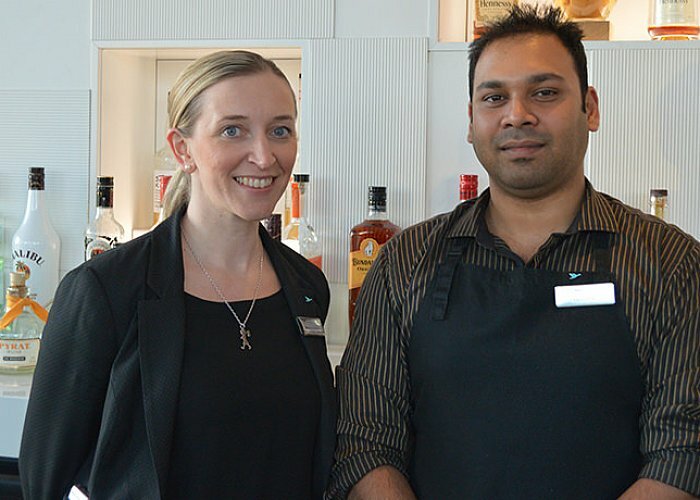 Prashant joined the team in February 2015 as a Food and Beverage attendant. "Prashant has the pure passion and desire to be in the hospitality industry. He has really stepped up during the time he has been with us, and has a great understanding of the industry. 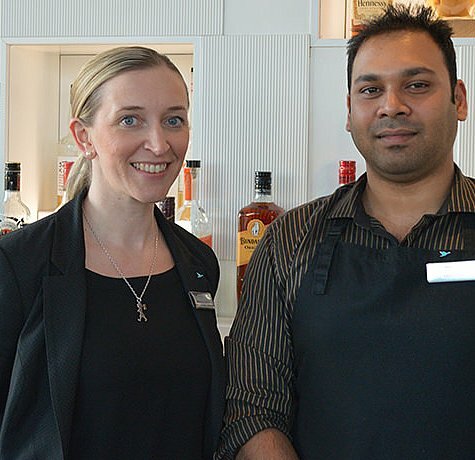 Prashant has all the attributes of being a professional mixologist, and his special ability to make custom cocktails is a favourite among our customers. Prashant is pleasure to have around and is a vital part of the team." "Mercure Hotel is a great place to work. The Managers here are supportive and give their staff opportunities to show their skills. There are also chances to work in different departments such as the conference rooms, restaurant and the bar. The main responsibilities of my role are to operate the bar, stock management and achieving the monthly revenue targets. With the experience I have gained at Mercure Hotel, I would love to be a food and beverage manager in a hotel in the future." Located in the heart of the Auckland waterfront district, Mercure Auckland overlooks the spectacular harbour and bustling city. Mercure Hotel Auckland offers 189 rooms and suites, undercover valet parking, and a dedicated conference floor catering for 200 delegates. Vue Restaurant and Bar is located on the top floor of the hotel and offers great panoramic views.